Thunder Power RC introduces all-new Z3R Brushless Motor Series; designed, developed and built to deliver maximum performance and reliability for RC surface vehicles. Since 2008, Thunder Power RC Race Series LiPo batteries have set never-before-seen industry-leading standards in performance, reliability and longevity for electric-powered vehicles. They continue to be the batteries to have or be beat by at tracks world-wide while racking up long lists of local, regional and world championship wins and records in all forms and classes of racing. In late 2010, we expanded upon those successes by adding the 1/10th Scale Z3R 540 Brushless motor series to our product line up. In just six short months, the Z3R motors have won Snowbirds, ROAR National Titles, The Reedy Race of Champions, Tour Oval and NAMBA National races. Continuing to expand upon these successes, Thunder Power RC is proud to introduce the all-new Z3R-8 Sensored Brushless Motors for the RC surface market. Designed, developed and tested at the hands of top racers world-wide, Z3R-8 Sensored Brushless Motors are built to deliver maximum performance and reliability. 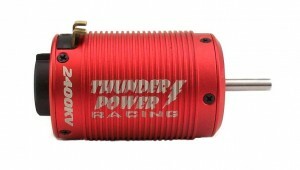 Available late Summer 2011, Thunder Power RC’s Z3R-8 Sensored Brushless motor series is designed for use in 1/8th scale, off-road vehicle applications. Z3R-8 motors are high-powered for pro-level performance and are available in 1400Kv, 1900Kv, 2100Kv and 2400Kv for any buggy. Each motor is constructed from high-quality materials including a balanced, high-strength 4-pole neodymium rotor, high-temperature coated copper wire and plated copper solder tabs, while features including easy-to-set adjustable timing from 0—25 degrees and fast-switching, high-temp sensors make it easy to maximize performance. The Z3R-8 motors are compatible with brushless sensored and sensorless electronic speed controls for flexibility in power system optimization. 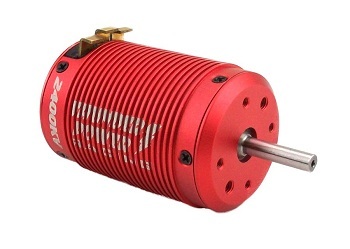 All Z3R motors are designed and developed from the ground-up, tested rigorously and race-proven in the hands of top racers world-wide including Paul Lemieux and others, Z3R brushless motors are built to deliver maximum performance and reliability.